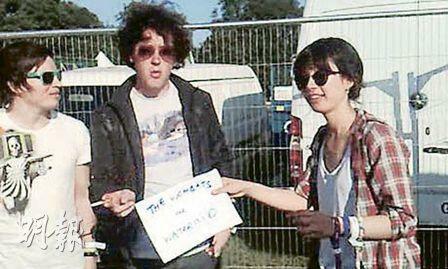 Emma meets the Wombats, and asks them to campaign for Wateraid. 【明報專訊】This week, almost everyone I know is preparing himself or herself for Glastonbury Festival-one of the world's first and biggest music festivals held on a farm in Somerset. It's a huge event of about 100,000 people, and it's the big push of the summer for many bands, charities, radio and TV stations, travellers and, of course, music fans.